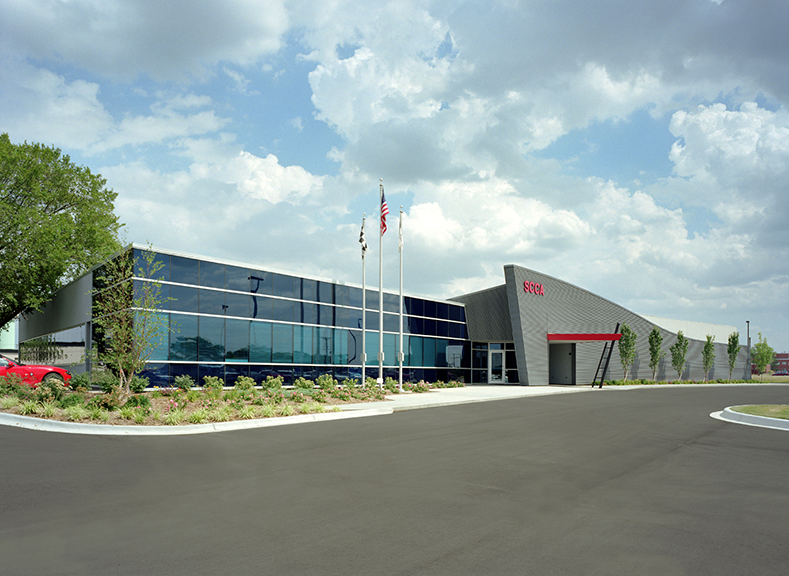 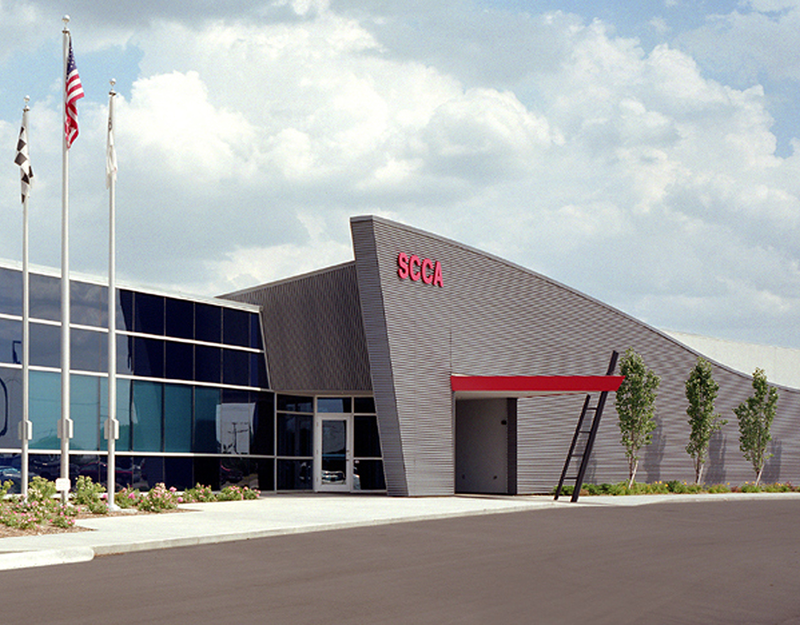 Through an “On-Call” contract with Poe VanDoren Engineers and the Metropolitan Topeka Airport Authority, HTK was retained to build the Sports Car Club of America’s new Headquarters in Topeka. 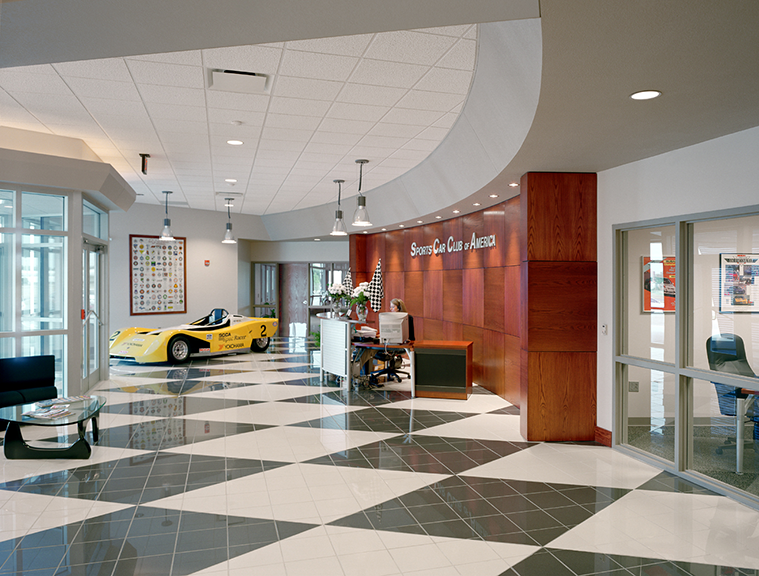 The challenge was to design and construct a corporate office building that in its visual presence represented “racing” or “motion”. 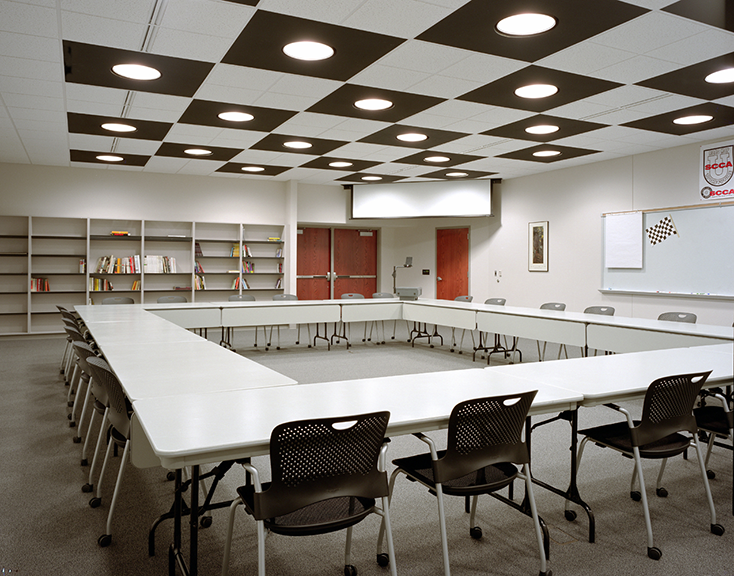 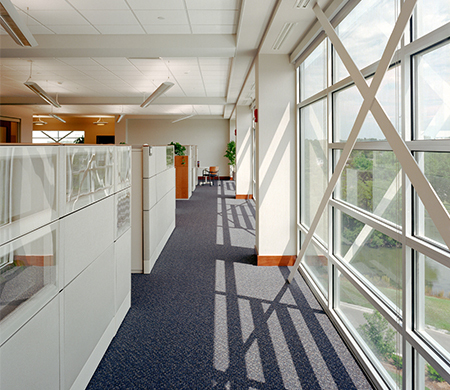 It was also important to provide the high quality finishes expected in a corporate office without going over-board. 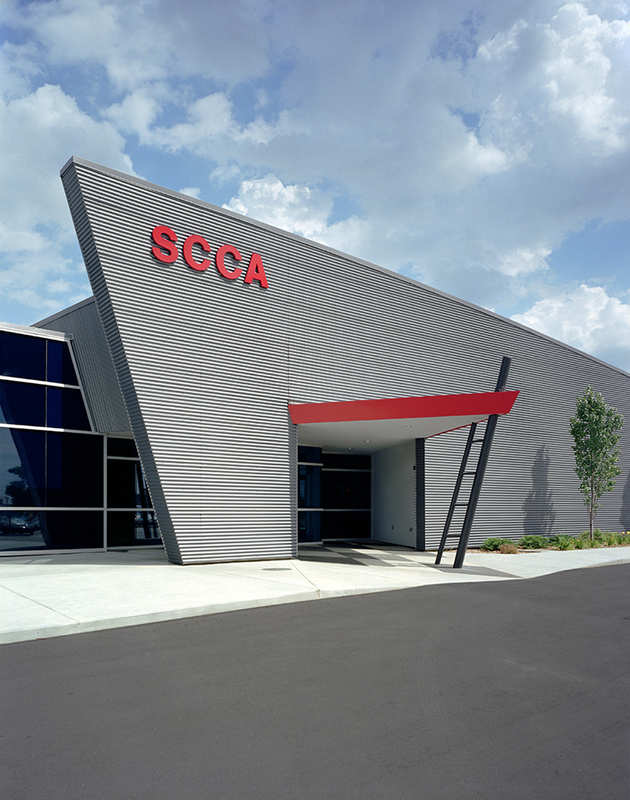 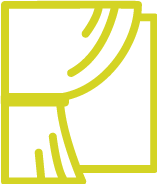 A non-profit organization, SCCA occupies 100% of the building to service its membership through training, event sponsorship and event scheduling for multiple race venues. 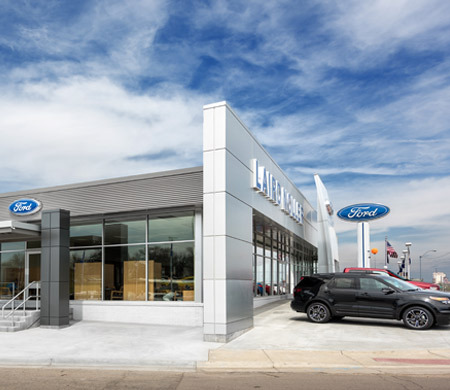 The exterior of the building is clad in EIFS, aluminum curtain wall & architectural metal panels while the inside is adorned in drywall, architectural millwork and polished porcelain tile. 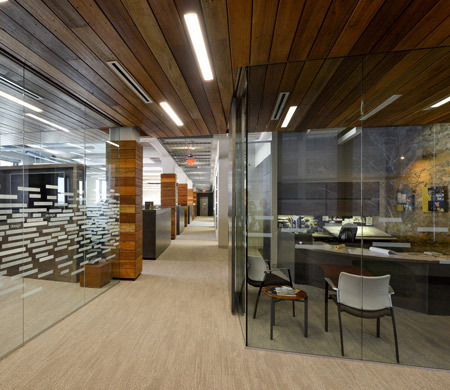 The entire design was completed at a remarkable building construction cost of $78/SF.